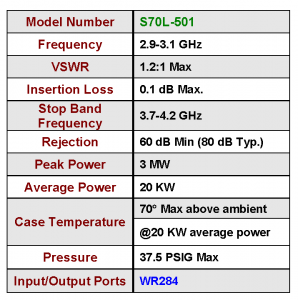 M.E.C.’s S70L-501 is a WR284 extra high power low pass filter. 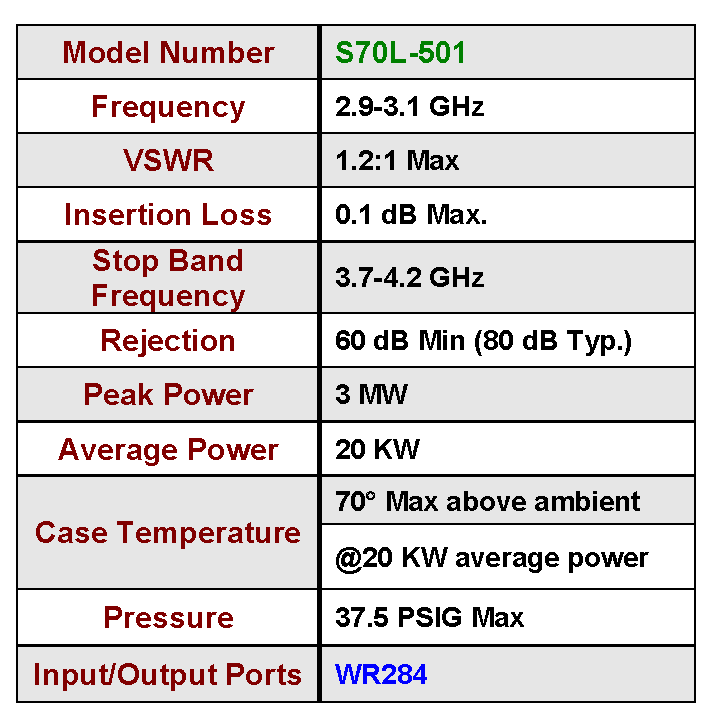 It operates at S-band and handles 3 MW peak power, 20 KW average. High conductivity aluminum alloy material is used which helps lower the insertion loss (typically 0.1 dB). The low loss, high precision machining, and high efficiency cooling fins all aid in lowering the operating temperatures. Temperature rise is less than 70 degrees F above ambient at 20 KW average input power. These factors promote problem free operation at extremely high power levels. 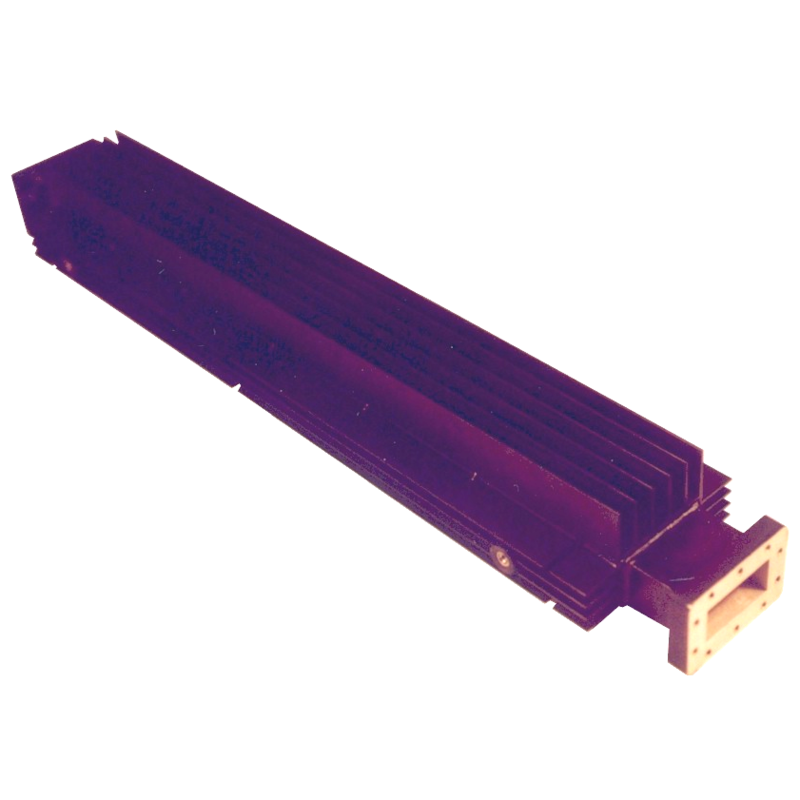 This filter is machined using a carefully controlled process. Its rugged construction makes it suitable for extreme shipboard environments. 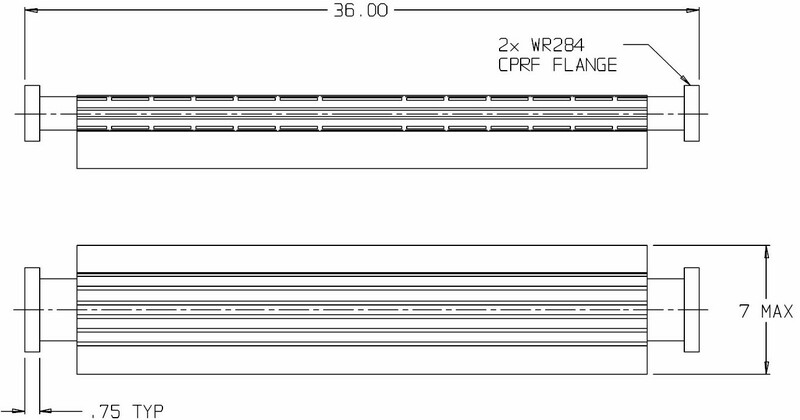 This field proven design remains operational after many years, failure free, in numerous installations.